One of the most requested features by Builders is coming very soon...the pool for your home!!! You can decorate your pool with furniture and chill out poolside with all your buddies. The temperature's perfect, so don't be afraid to jump in the water,. 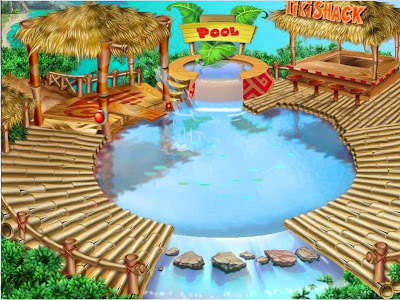 The pool comes complete with the Tiki Shack, diving board, deck and mini waterfall. What more can you ask for?